Attractive design for wear at work. 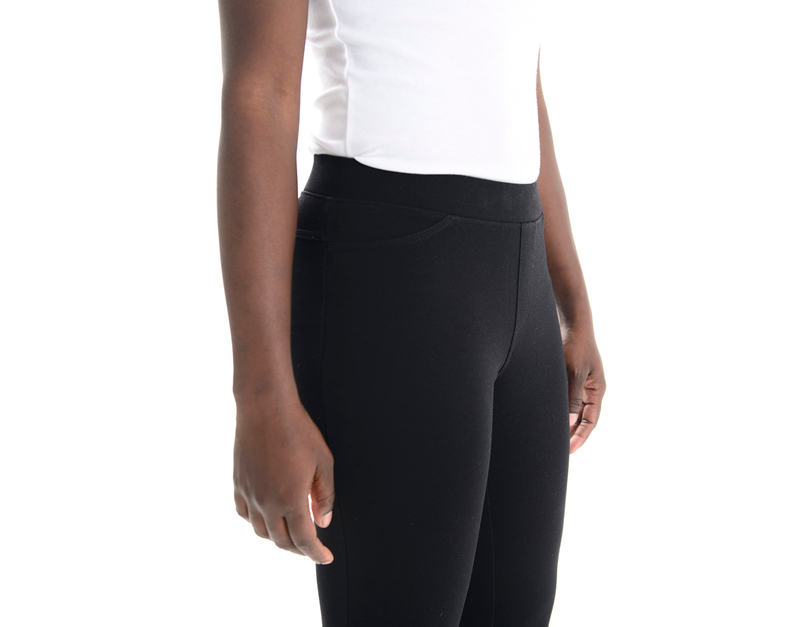 Solid tone stretch leggings provides slimming look. 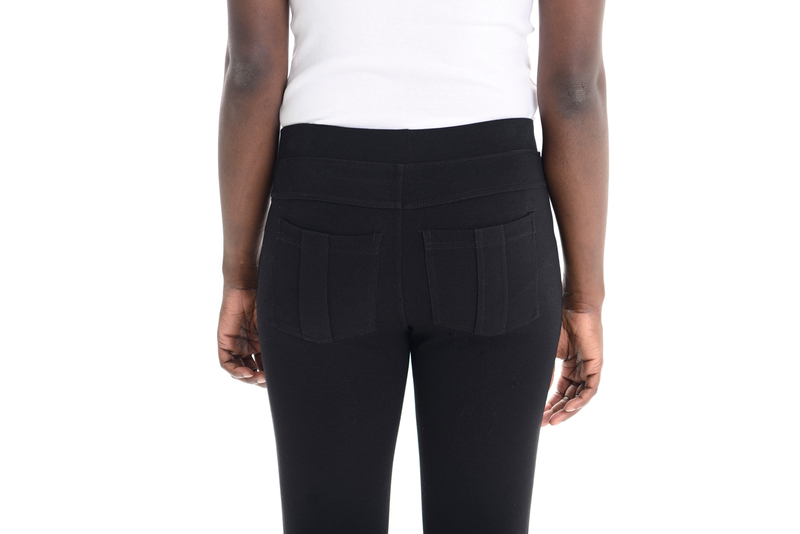 Elastic waistband for great comfort. Two functional back patch pockets. Easy care. Machine wash cold.